Jordan is undoubtedly central to the world when considering incredible historic events. With its epic lost cities, biblical stories, ancient ruins and geological wonders, you’ll be surprised that it is the warmth of its’ people that leave you with the most lasting of impressions. We spent 5 incredible days in the Kingdom last month covering Jerash all the way down to the Red Sea in Aqaba. A detailed itinerary is can be found at 5 day Itinerary for Jordan, but here are important travel tips for Jordan you should know before visiting. Get the Jordan Pass! – This one is just a no brainer. The travel essential pass starts from 70 dinar ($99) and includes free entry to Petra along with 40 other attractions such as Jerash and Wadi Rum. The pass also exempts you from visa fees if you buy it before you enter Jordan and are staying more than 3 nights in the Kingdom. I purchased mine online via the site. Separately, visa fees are 40 dinar per person (pretty pricey) and entry to Petra is 50 dinar per person. You will have already saved yourself 20 dinar since Petra, I hope, will be on your itinerary. 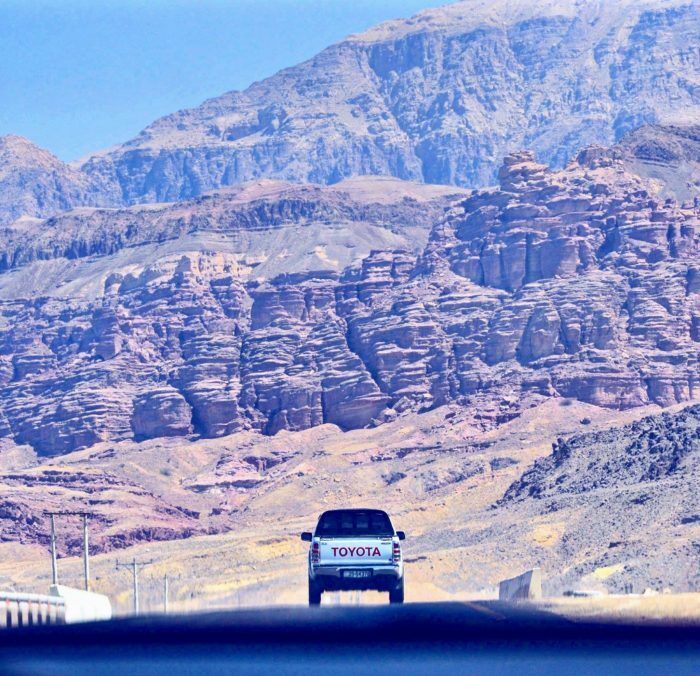 Petra – Doing a day trip from Amman is a serious injustice. Go the day before, overnight it at one of the hotels or hostels and get to Petra by 8am the next morning. It is doable in one day but it is very tiring. A more in depth guide on that coming soon. Don’t spend too much time at The Dead Sea – An afternoon is more than enough at the Dead Sea unless you’re here for a spa holiday or medical healing. You’re good to go once you’ve swam in it for fifteen minutes. Delicate parts will start to sting anyway from the high salt content. There are great photo ops of the Dead Sea along the King’s Highway but overnighting at one of the resorts is really not necessary. There’s so much else to see. Transportation – Public transportation is cheaper but it takes forever. If time is limited, don’t waste it on public transport. 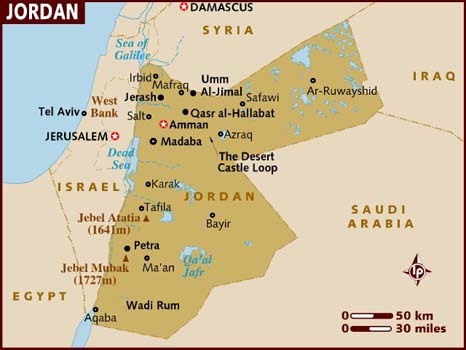 Jordan has a great road network and is easy to navigate. You should have no trouble renting a car and driving. Also take note that Amman to Aqaba (at the southern end of the country) can be driven in 3.5 hours so don’t forget to explore Aqaba too, the scuba diving is incredible. We chose another option which you can do too. Hire a driver through localtrips.net. It’s a great experience and total lifesaver. Hecham, our driver, was friendly and drove safely. We learned so much about Jordanian customs and he was eager to show us everything. We even went out to the desert in Petra one of the nights to hang with him after his shift ended. The cars are new and air conditioned. Sami, the owner, will respond to you right away via email or whatsapp about bookings and itineraries. Totally awesome. Jerash over Amman! – Many leave only one day in their itinerary for Amman and the surrounding areas. Prioritize Jerash as the first thing you do that day because it will be a real shame if you miss it. Jerash is incredible compared to anything you’ll see in Amman i.e. Colosseum and Citadel. One of the best preserved examples of the grandeur of the Roman Empire, it’s about a half hour drive from Amman. We were completely blown away by Jerash. Do Dress Modestly – Respect the local culture. Jordanians are relatively chilled out. You probably won’t get in trouble for wearing a tank top and short shorts but you will look ignorant and disrespectful. A head scarf is not necessary but try to keep your shoulders covered and refrain from wearing clothing above the knee. Ladies, please stay home if your need to show cleavage supersedes your desire to travel here. Hotel Rooms are A Bit Dated – Don’t expect uber luxury when booking five star hotels in Jordan. We stayed in the Intercontinental in Amman, the Movenpick at Petra and the Kempinski in Aqaba. All three hotels have modern and beautiful public spaces within the hotel but the rooms in both the Intercon and Movenpick could use upgrading. The rooms in the Kempinski are more modern however. Don’t worry – Last but not least, don’t worry. There is concern about general travel to the Middle East these days. We found travel to Jordan to be completely safe. Although the Kingdom has some chaotic neighbors, their borders are well protected. You may want to stay away from the northern parts close to the Syrian border however. I hope you find my Travel Tips for Jordan useful. Please let me know if you have additional questions in the comments section below. Like Travel Tips for Jordan? Pin It!